Specialising in Design, Budget-Timeline Management for Renovation, Extension, Conversion and New Build Projects. We thrive on undertaking challenging projects that call for exceptional levels of innovation and expertise. Our services cover both new build and refurbishment, spanning the entire construction process from inception to completion. We have the technical and physical resources to deliver complex contracts of the highest specification under traditional or design and build formats. 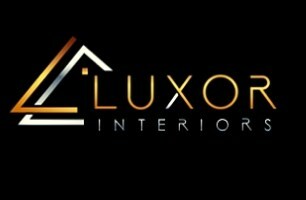 Our business has carved a reputation as one of London’s competitive residential contractors, with a body of work that extends to over 15 years. Exceptional construction management lies at the heart of all our projects. We build residential extensions, loft conversions and undertake internal renovations. Through precise planning and a dedicated contract team, we can deliver innovative solutions to suit client objectives, while maintaining excellence. From our base in London, we renovate well over a hundred homes every year and this vast experience means we can guide you through every step of the process. If you are looking to transform your home into a beautiful living space, we offer a Free no obligation quotation which can be booked by calling 07503 937386 or by filling out our online enquiry form. We look forward to showing you that is well deserved! Chelsea, Clapham, Edgware, Finchley, Golders Green, Greater London, Hampstead, Hendon, Kensington, Knightsbridge, London, Notting Hill Gate, Richmond, Totteridge, Wandsworth, West Hampstead and more.